Use the Text content type to add simple text to a digital sign. Text can be formatted several ways to display uniquely. The Text Properties box opens. Give the content a descriptive Name. 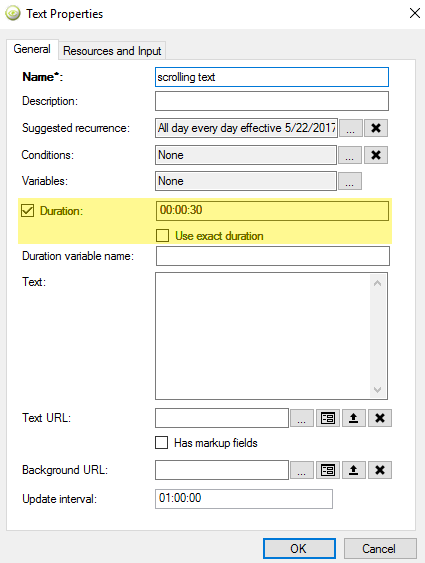 Determine how long you want your content to display by setting the Duration. 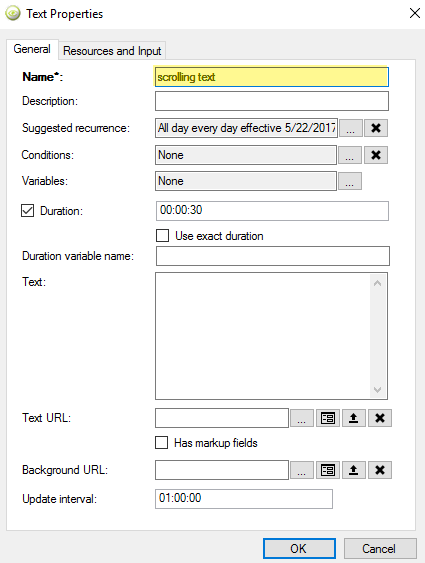 Enter your text in the Text: field. 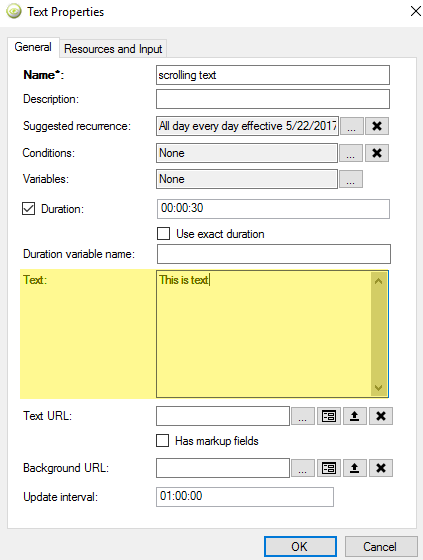 If desired, enter a Text URL and Background URL. The Text URL is the location (path) of the source file. For easy updating, save the text as a .txt file. The Background URL is the location (path) of an image file used as a background when the text content is played. Ensure that the Deployment Behavior is correct. Click OK. 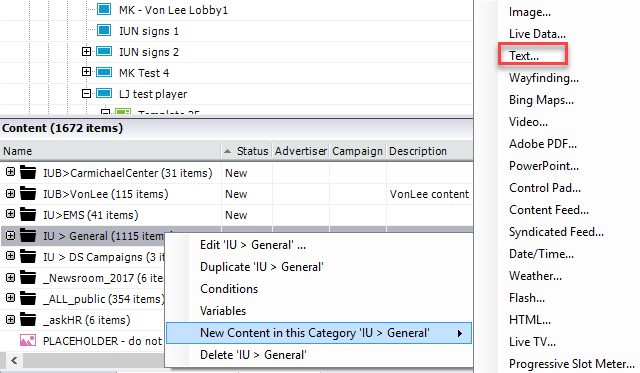 The text content type will display in the content list. Save your changes. Format your text, if desired.